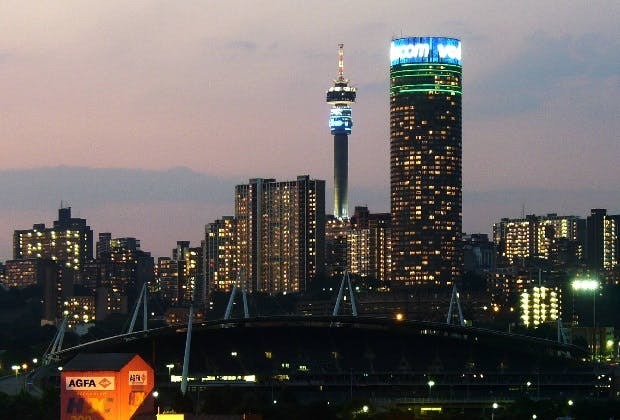 Johannesburg is the largest and most financially advanced city in South Africa. The Johannesburg Art Gallery, Aparthied Museum, and Museum Africa make the city their home. The Market Theater Complex is a unique site as is the Rooftop Flea Market. Johannesburg Zoo offers you a chance to see some of the wildlife of Africa and the rest of the world. The city also offers a night life that is complemented by bars and restaurants that have live music and a student populous. Not far out of the city you will find Sterkfontein caves and a number of wildlife parks. The Southern Sun O.R. Tambo International Airport at O.R. Tambo International Airport, Airport Grounds, Jones Road, Johannesburg is the closest hotel to Johannesburg airport. The UTC adjustment for Johannesburg is 7200. The cheapest airfare from Adelaide to Johannesburg is $976.